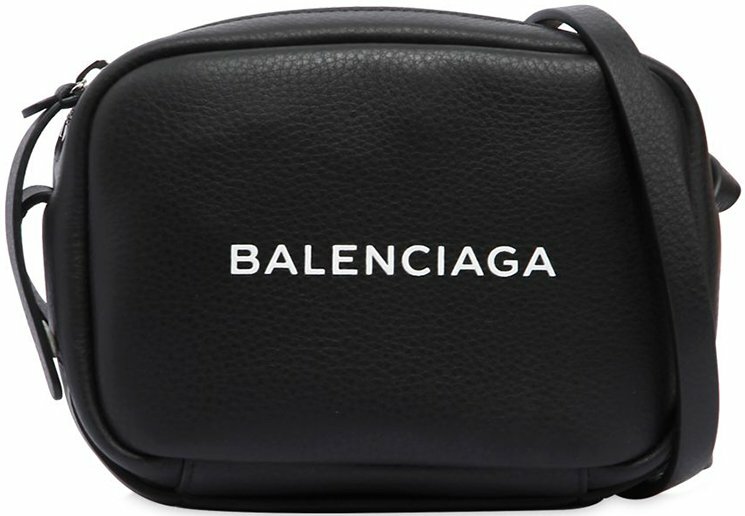 When Balenciaga is not making Ikea-inspired tote bag, they will take their time to craft something minimalistic. 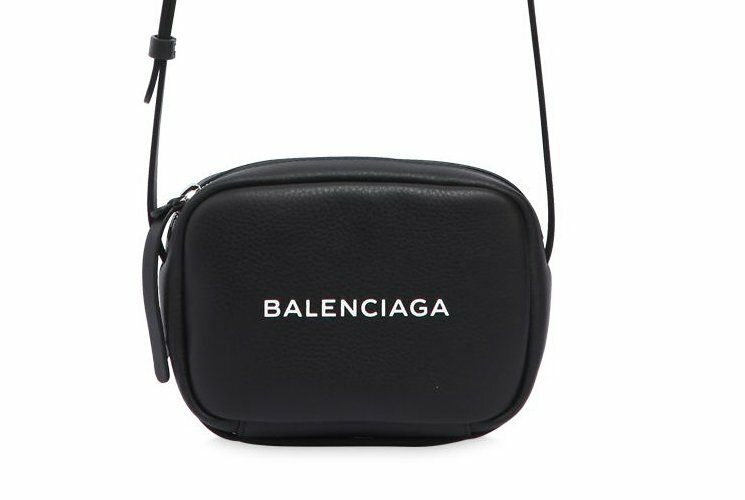 Like for example, this Balenciaga Everyday Camera Bag. We love it not because it’s called everyday, but because of the simple look. We also adore it because Camera Bags are trending right now. So introduced for the Cruise 2018 Collection, let’s talk camera now. A simple but classic look, the Everyday Camera Bag is created to match any style in your wardrobe, especially if you pick the classic black shade. 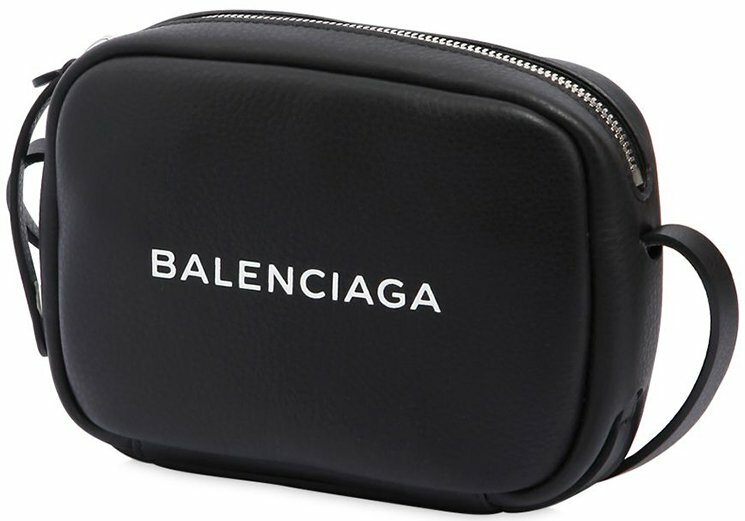 This Camera Bag is designed in boxy rectangle shape, but the edges are curved. You can also feel that this bag is quite flexible and smooth. 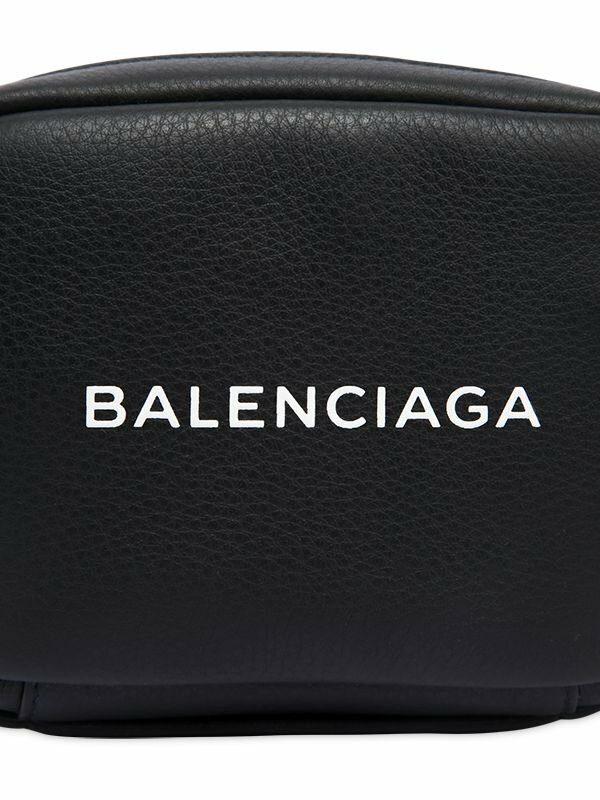 The Balenciaga logo has been crafted in the center, plain and simple! With one glance, everyone will know you’re carrying a high fashion beauty. 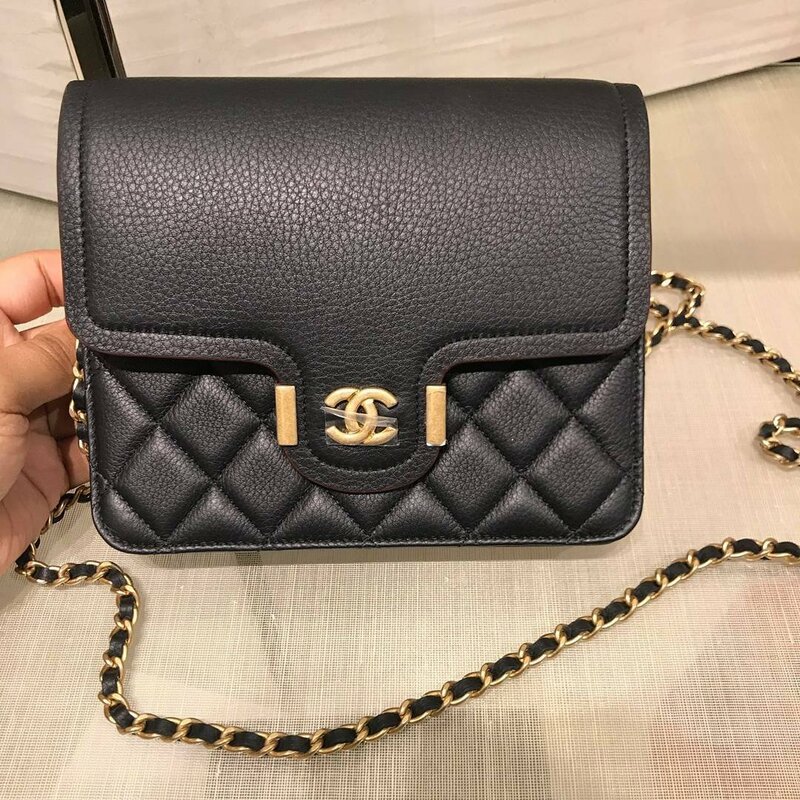 This bag also comes with a long leather strap, which can be detached. 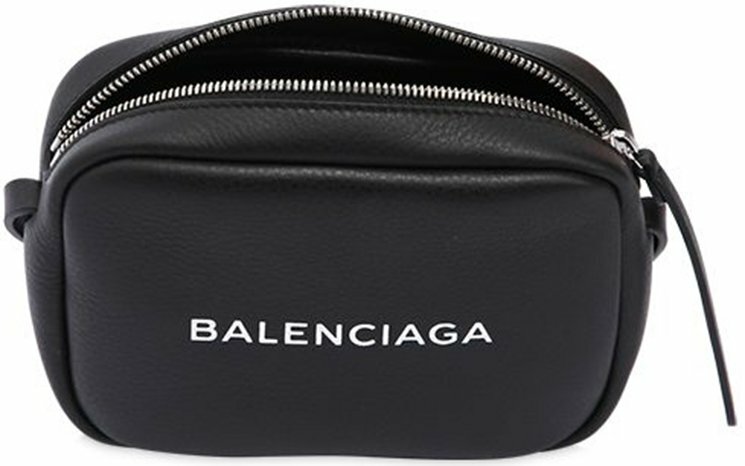 By removing the leather strap, you can use this bag as a clutch (but it would look much more like an evening pouch). If you turn the back around, it’s crafted with a backpocket. Use this pocket to store your instant-essentials. The Everyday Camera Bag is made from calf leather, which gives you a luxury touch but it’s durable as well. The overall look of this bag is simple but gorgeous, and it will definitely never go out of style. The inside of this bag is as simple as the exterior. There is one main compartment inside. This bag is big enough to store all your daily stuff like your iPhone and wallets. Measuring 12 x 17 x 5 (H x W x D) cm, priced at $950 USD, €650 euro, £625 GBP, $1180 AUD, $7900 HKD, $1430 SGD, ¥120960 JPY. 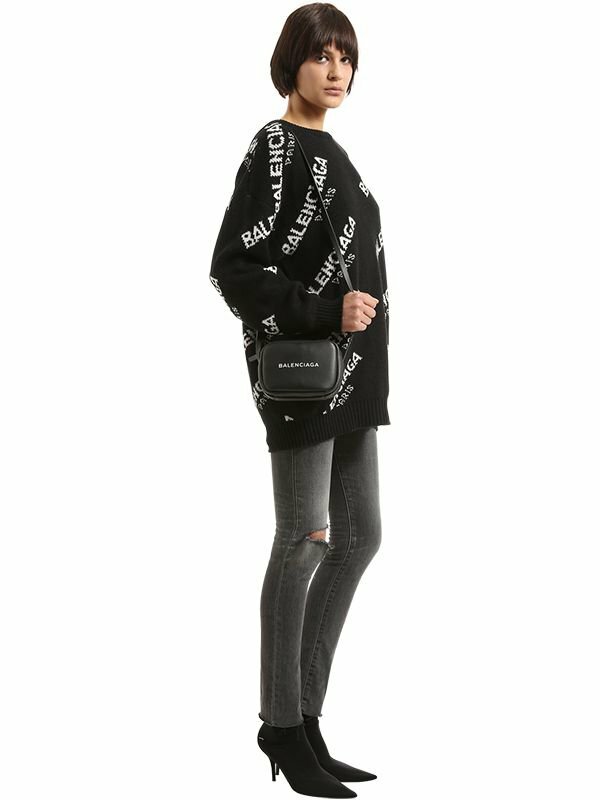 Where To Shop The Valentino Garavani Free Rockstud Spike Camera Bag? 1. 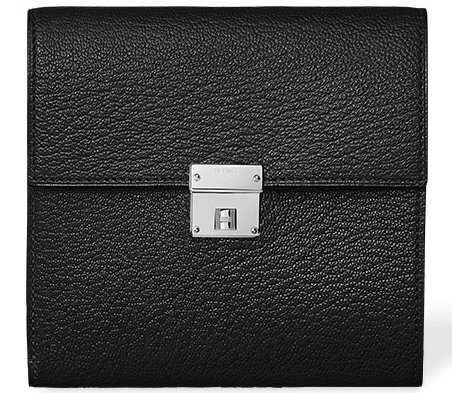 Farfetch – go directly here to find this handbag in classic black shade. 2. MyTheresa – you can also find this handbag here. 3. Matches Fashion – the pink version is available here. 4. Farfetch – via think link, you might also find this camera bag in other colors. Catch up with the top stories from the past week in December. In the upcoming collection, we will meet a lot of fresh Hermes handbags. One of them is the Cinhetic Clutch and there is more coming, so stay close to Bragmybag for the latest news. But let’s start with the Hermes Clic 12 Wallet. This is a new mini accessory for the Cruise 2018 Collection. The Click 12 Wallet is a minimalistic and timeless wallet. It’s small, compact and comparable to the famous French Wallets. There are two ways of carrying; either slip it inside your bag or carry it in the pocket of your jeans. 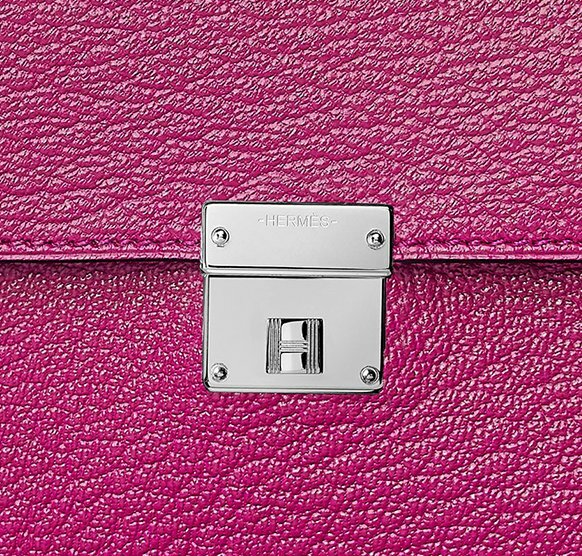 Hermes is all about the quality of the leather and the craftsmanship. 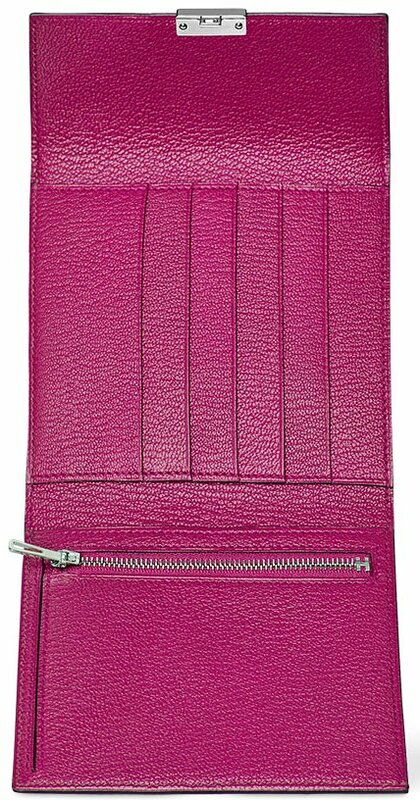 This wallet is made from Mysore Goatskin and refined with silver hardware. The center is designed with a never-seen-before clasp. It’s simple, squared and embellished with a little stud-opening in the center. There are numerous colors available, including rose pourpre and blue electrique. If you want to check more shades, visit the nearest Hermes boutique and ask the SA. This is a small but neat wallet. The interior is made up with 6 card slots, a zipped pocket (for coins), patch pocket and also paper money pocket. Measuring 12 x 11.5 (L x H) cm, priced at €3450 euro, £3170 GBP via Hermes boutiques. 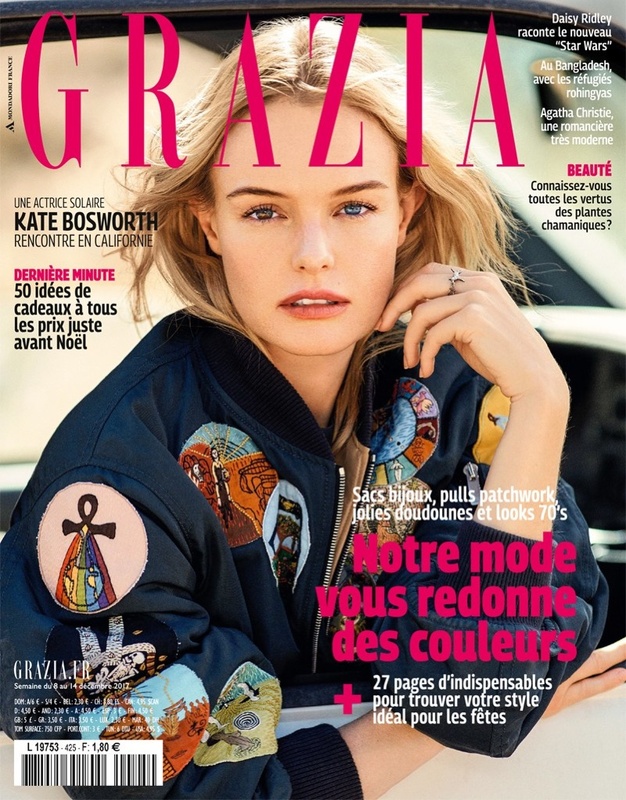 Actress Kate Bosworth graces the December 14th, 2017 cover of Grazia France. Lensed by Hilary Walsh (Atelier Management), the blonde beauty wears an embroidered bomber jacket from Dior. Inside the magazine, Kate poses in looks from Dior’s resort 2018 collection. Inspired by the American southwest and the work of Georgia O’Keeffe, the 34-year-old poses outdoors in the dreamy looks. From lace dresses to airy skirts and wide-brimmed hats, Kate wows in each shot. 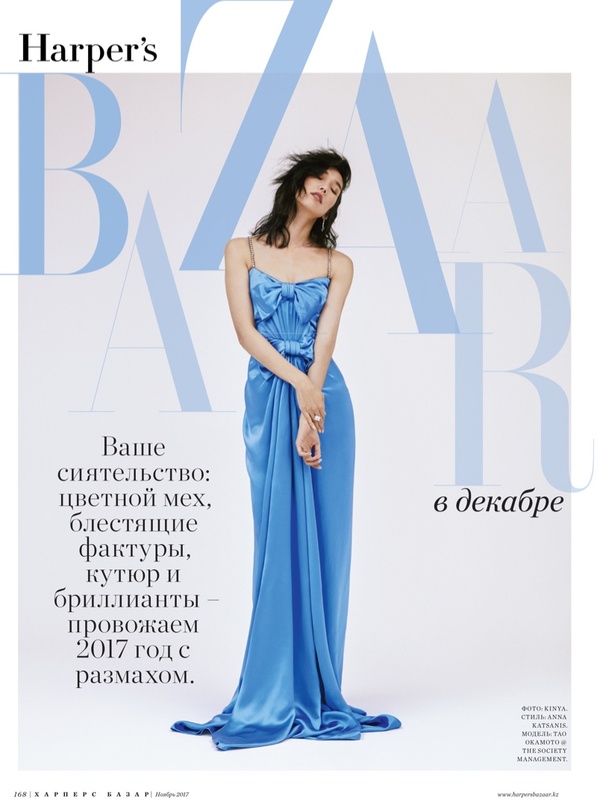 Tao Okamoto looks pretty in pastels for the December-January 2017.2018 cover of Harper’s Bazaar Kazakhstan. Photographed by Kinya Ota, the Japanese model and actress wears a sequin embroidered sheer top and skirt from Prada. 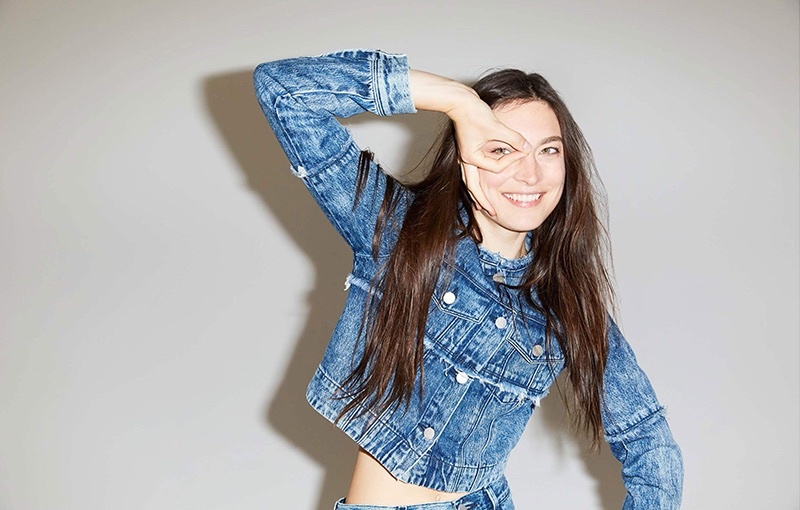 Inside the magazine, Tao impresses in looks from the resort collections styled by Anna Katsanis. 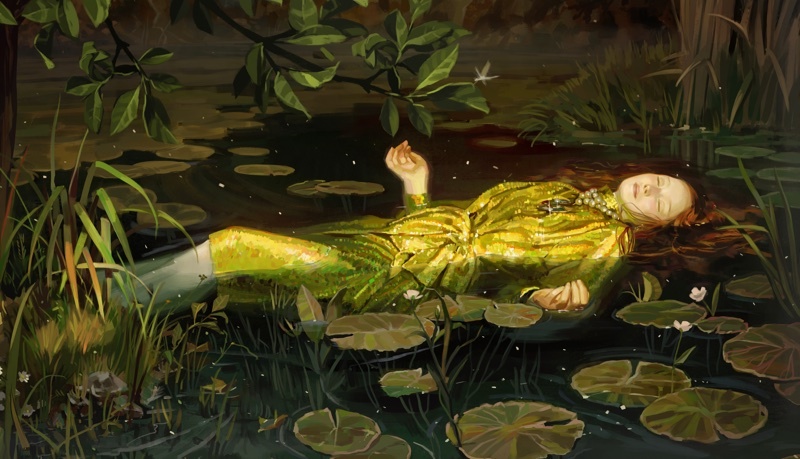 The brunette poses in designs from the likes of DIor, Chanel and Gucci.